Are not cocktails fashionable? Do you want to learn how to prepare them and surprise your guests or friends? Would you like to discover new original combinations? 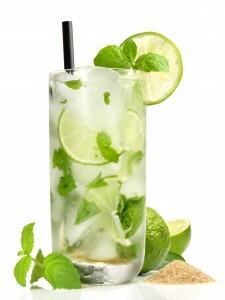 With the guidance of our expert cocktail barman, attendees will work in the preparation of 4 cocktails plus 1 free creation. The first four will help you serve acquire the basic understanding of : Materials and tools , techniques of processing, characteristics of the beverages used and the presentation of cocktails. What are those 4 cocktails? 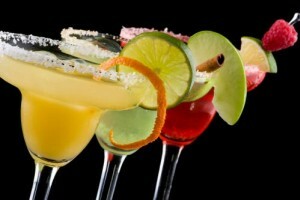 As an example: Gin -Tonic (gin) Cosmopolitan (vodka) Rob Roy (whiskey) and Daiquiri (rum). Knowing the basic rules each participant will prepare a cocktail of free creation using its imagination. The most original, creative, and of course the richer and most tasteful cocktail will be the winner of this contest. Did you know that we enhance the flavor of gin if mixed with fruit, flowers or seeds? Did you know the immense variety of gins in the world and its origin? We want you to have a fun time discovering how to prepare new Gin Tonics with different gins and colorful ingredients and textures. What we propose is a dynamic and participatory activity, basing learning in fun games of sensory perception. We seek therefore to involve the audience in this complex discipline in a practical and simple way. The workshop will focus on the development of 5 different types of Gin- Tonics, concluding with the completion of a Gin Tonic personalized for each attendee. Gin Mare – For the realization of a classic gin and tonic. Hendricks – Devise a combo with cucumber and observe the differences that occur. Martin Miller – Devise a gin and tonic of apple, spiced with juniper berries. Tanqueray – combine this gin with citrus bases for enhancing the aromas. Also take a brief stroll through the world of tonic and its entry into the Spanish market.